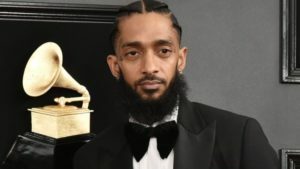 Ermias Davidson Asghedom known professionally as Nipsey Hussle was gunned down Sunday in the Hyde Park neighborhood of Los Angeles, south of the Crenshaw area. He was at his clothing company called The Marathon Clothing. He opened the place back in 2017.